Reviewed by Scott Peterson. Discussion thread here. 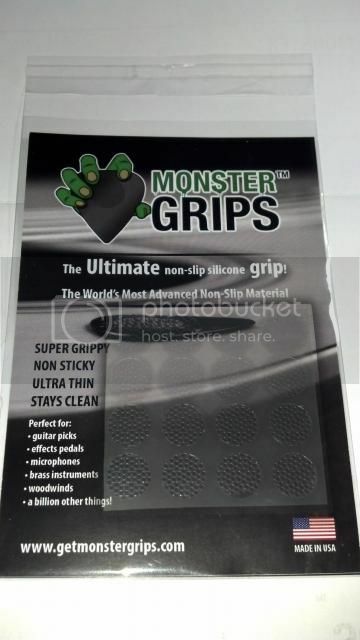 Monster Grips are essentially little silicone wafers that adhere to your pick... or whatever else you want to stick them to. That's pretty simple; and this review wasn't exactly a complicated one to do. Sometimes the simplest ideas (the "why didn't I think of that?!" sort) are the best. The end question - as with anything - is this: do the benefits outweigh any cons? First, let's lay this out. Andrew Federico Jr. created Monster Grips. You get 16 of the silicon wafers to a pack. They are very thin, yet very durable silicone wafers that are cool because they don't attract dirt/lint/fuzz; they stay soft over time (even in the VERY dry low humidity of a Michigan cold spell with inside humidity hovering around 30%), they stay where you put them and - they can double as a 'sticky' that will hold on your guitar (which is probably something that I never thought of, but now dig). 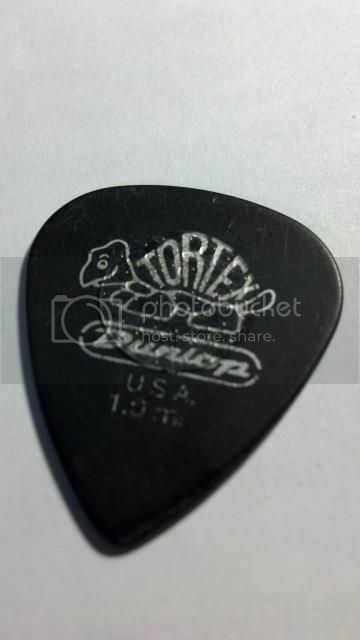 I use Tortex picks currently 1mm. 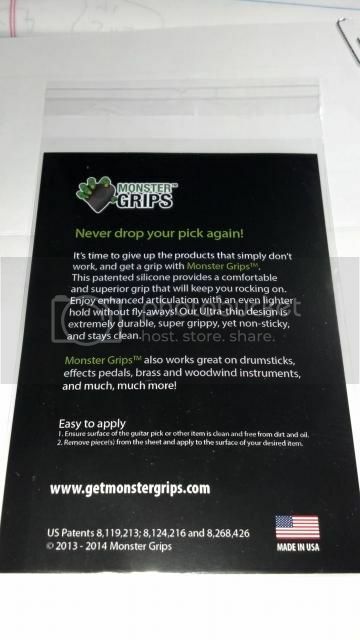 I rarely drop picks, they don't spin on me much and I've never thought - 'hey, I wish this was more grippy!' - so I expected to not be much impressed with these little wafers. I used to drill holes in my picks for years; but got away from that... so adding these little wafers was no big deal. They have better pics on their forum; but that's how it looks on mine. So what are my impressions? 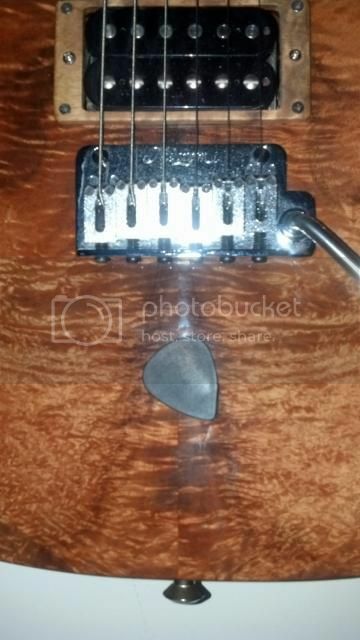 They are cool, they don't bother me, I look for my picks with them attached now because they just feel cool and the stick to your guitar trick works GREAT. I liked these more than I thought I would; I really had a hard time looking at what they cost and weighing whether they are worth that sort of coin; they are silicon wafers. But after using them and finding that little 'stick to the guitar' trick... the price doesn't feel that high. One thing that also weighs in the positive is that these are durable; I've been using them for about 3 weeks now and have gigged them... no rips, no peeling up, no issues. I also had the other guitarist in my band use them on his Jazz III's and he didn't have anything much to say until he did the 'stick it on the guitar trick' and then he was asking how he could get some more. Check out Andrew's site and have a look at these. Sometimes the best ideas are the most simple after all.